News Mark Your Calendars - Let the Holiday Shopping Begin! Mark Your Calendars – Let the Holiday Shopping Begin! Mark Your Calendar – Let the Holiday Shopping Begin! Ready or not, the biggest shopping season of the year has arrived! 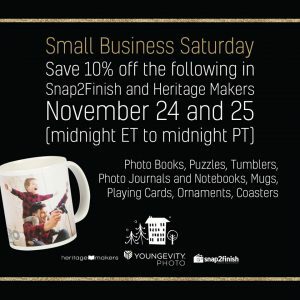 Starting on Wednesday, Nov. 21, you’ll find deals on our Holiday Gifting Collection on DebiVoris.Youngevity.com and discounts on a few of our Snap2Finish and Heritage Makers products. Wednesday, Nov. 21 through Monday, Nov. 26. FREE SHIPPING on all Holiday Gifting Collection orders. No minimums. No code required. Wednesday, Nov. 21 through Saturday, Dec.1. Use Code Holiday15 at checkout to take advantage of the 15% savings. Saturday, Nov. 24 through Sunday, Nov. 25.
in the Holiday Gifting Collection plus FREE SHIPPING! Use Code #SHOPSMALL at checkout to take advantage of these offers. 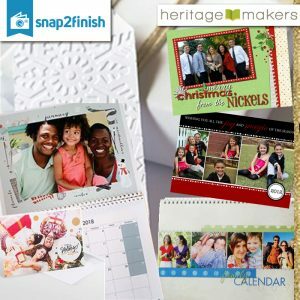 10% off photo books and select digital gifts. No code required, discount will be applied at checkout. Tuesday, Nov. 27 through Saturday, Dec.1. FREE SHIPPING on Holiday Gifting Collection orders over $125. No code required, discount will be applied at checkout for qualifying orders. Get your shoppind done early and painlessly from the comfort of your own home by your computer.